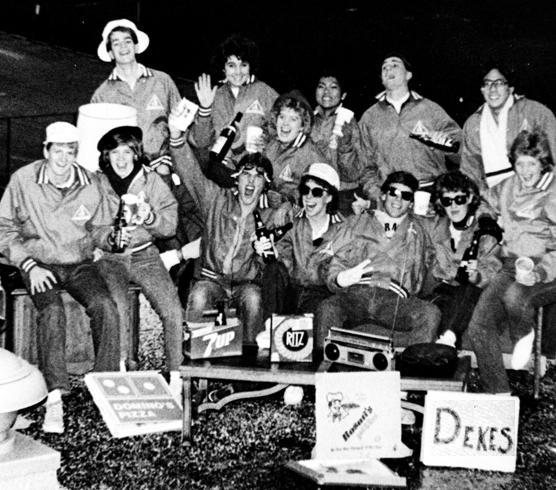 Though in hockey “deke” is used to describe a fake or deception, at Wheaton a deke is all about telling the truth — of Wheaton’s history and campus. These sophomore students have been selected to provide tours of the campus to prospective students. Short for “diakonoi” (Greek for “ones who serve”), the dekes love getting to know prospective students and helping those students get to know Wheaton! A soon-to-be famous Deke-alum (a Archives staffer) is Wheaton’s president-elect, Phil Ryken.